Well, this was certainly a surprise. I'll admit, I haven't read anything termed "Young Adult" for a while now, because the books of that age range that I've read before seem to fail at pitching to a teenage audience, usually writing down as if for a younger reader. And, to be honest, I was a little wary about Young Adult stuff involving romance since the unfortunate Twilight faze that is just about dying down now. 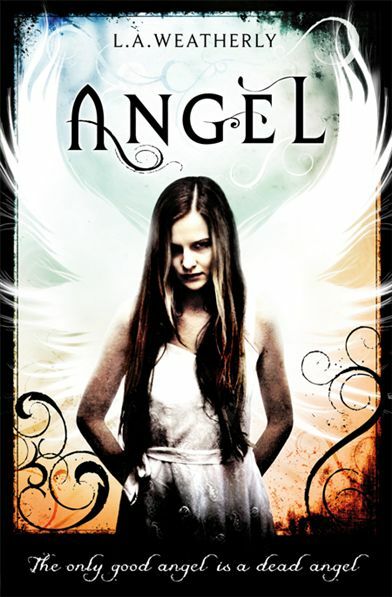 But I picked up Angel anyway, as the premise looked good and it looked like light reading. I'm rather glad I did now. As I said in my little introduction there, it was the premise that caught my attention. 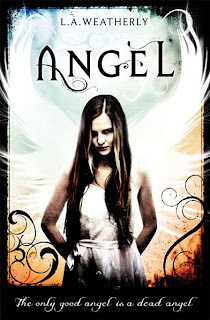 Not the whole "assassin falling in love with his sworn enemy" thing that the blurb focuses on, which is a bit of a lie anyway; no, my attention was caught by the fact that in this world, angels are parasites. The idea that a group of beings could openly feed off of people with their victims would be none the wiser, walking away believing wholeheartedly that the angels were loving and benevolent, is something that could be really frightening if utilised properly. But of course, horror is not exactly what most gels with the inevitable romance that this would have. To the book's credit though, it does create a lot of tension as our protagonists, Willow and Alex, travel across America with no way of knowing who they can trust other than with instinct. The plot follows them as they flee from angels out to kill Willow because of the strange gifts that she has possessed since birth. The plot is pretty straightforward as they travel cross-country, trying to find allies and/or a way to get rid of the angels that have invaded our world. But, to be honest, after the last couple of books I've read, I'm more than happy to have a simple plot to read. Besides, it isn't really much about plot, as most of the twists are pretty clearly sign-posted. It's more a character study of our two main leads, as they work through personal struggles with their pasts until they inevitably get together. As leads, they're likeable enough and I would be more than happy to resume reading about their exploits in the next book in the series, should I find it and pick it up. The romance between them is a bit corny and perhaps a bit too instantaneous for my liking, but it's harmless enough. At the very least, they have to sort through some personal issues each before they decide to start a relationship, which is nice. So yeah, I surprised myself by liking this. Go figure.